In "Sonica USA" Escovedo insightfully positions Mexican American youth as a critical part of punk history. The albums's version of that dream is soundtracked by punk pioneers The Stooges and MC5 and populated by people who read both Mexican philosopher-poet Octavio Paz and the beat poets of the 1950's. 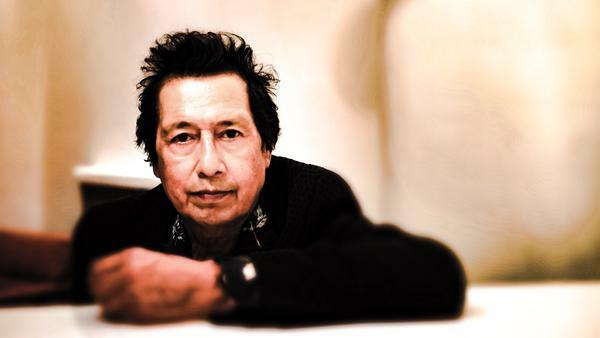 In fact, that's very much the story of Alejandro Escovedo and this song cycle is a return to his punk roots as much as it is an exploration of the themes of cultural identity. "Sonica USA" is the first single off the upcoming album and the track is a loud and boisterous reflection — featuring Wayne Kramer of MC5 on guitar — on Escovedo's youth growing up in Austin when he and his brother Javier played in a punk-before-it-was-punk band called The Zeros. "When we were playing as the True Believers early on [in the 1980's] we'd play San Marcos, San Antonio and get all these Chicano kids in denim vests and Iron Maiden patches," Escovedo says. "I remember thinking they were into us, not necessarily for the music, but for the fact we were there on stage. They loved that we were doing what we were doing." True to Escovedo's nature, the upcoming album comes with a curious twist: It was recorded with Don Antonio, a group of young Italian rockers he recently toured Europe with as a backing band. He developed such a strong bond with the band leader, Antonio Gramentiere, that they ended up writing the songs for the album after riding around Texas soaking in the open landscape and eating both pasta and tacos. The result is The Crossing, a power collection of songs that may in fact be the most succinct statement of Alejandro Escovedo's musical and personal story ever. "Sonica USA" only whets your appetite for what lies in store on the rest of the album.